Our demonstrators are very clever girls! 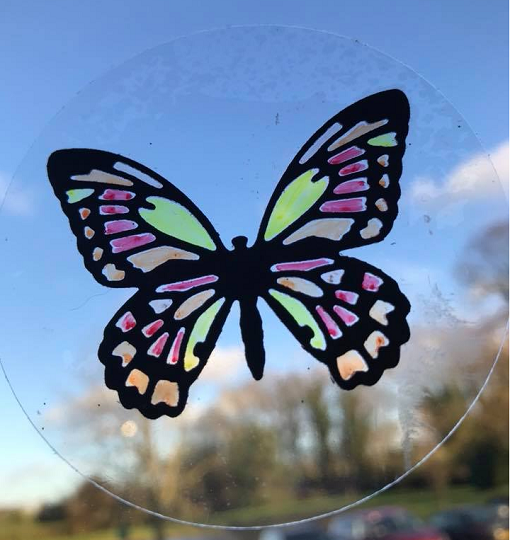 Rushanne has made some Window Clings using Non-Slip Grip, Coloured Card, Punch Sheets and Alcohol Markers. Die Cut a basic shape from your Non-Slip Grip and any shape of your choice from your Card and Punch Sheets, attach the two together and you are ready to go! for intricate dies like the butterfly colour the gaps for a rainbow effect. Easter, Halloween, Birthdays and Christmas! If stored correctly they can be used over and over again!